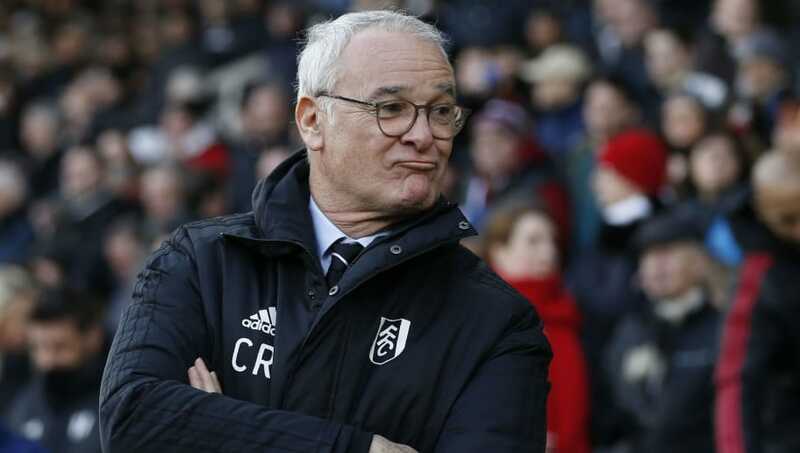 ​Claudio Ranieri has blamed his Fulham side’s lack of composure for a sloppy 0-3 home defeat to Manchester United that keeps the Cottagers in the relegation zone. The Cottagers actually started on the front foot and had two excellent chances to go ahead inside the first 10 minutes. Both Luciano Vietto and Andre Schurrle scuffed their respective efforts and were quickly made to pay. Paul Pogba scored Manchester United’s first just four minutes later with the visitor's first attempt on goal. Ranieri pointed to the first goal as the moment that ended the game as a contest with his side making things easy beyond that point. Ranieri claimed he selected the line up to take the game to the visitors but admitted the plan was lost in the execution: “I tried to give my players more opportunities by playing with two strikers and Ryan Babel in behind. Ranieri faced abuse from sections of the Fulham fans as the club spirals towards relegation despite a huge net spend. Boos and chants of ‘you don’t know what you’re doing’ rang out around the stadium as Andre Schurrle was sacrificed for Cyrus Christie early in the second half. Attempting to end on a positive note, Ranieri finished by looking ahead toward the coming fixtures against West Ham and ​Southampton. “We will work to try and win our next two games. We're always positive,” he added.